The exact 2-point function of certain physically motivated operators in SYK-like spin glass models is computed, bypassing the Schwinger-Dyson equations. The models possess an IR low energy conformal window, but our results are exact at all time scales. The main tool developed is a new approach to the combinatorics of chord diagrams, allowing to rewrite the spin glass system using an auxiliary Hilbert space, and Hamiltonian, built on the space of open chord diagrams. We argue the latter can be interpreted as the bulk description and that it reduces to the Schwarzian action in the low energy limit. S. Sachdev and J. Ye, Gapless spin fluid ground state in a random, quantum Heisenberg magnet, Phys. Rev. Lett. 70 (1993) 3339 [cond-mat/9212030] [INSPIRE]. A. Kitaev, A simple model of quantum holography, http://online.kitp.ucsb.edu/online/entangled15/kitaev/, http://online.kitp.ucsb.edu/online/entangled15/kitaev2/. J. Maldacena and D. Stanford, Remarks on the Sachdev-Ye-Kitaev model, Phys. Rev. D 9 (2016) 106002 [arXiv:1604.07818] [INSPIRE]. K. Jensen, Chaos in AdS 2 Holography, Phys. Rev. Lett. 117 (2016) 111601 [arXiv:1605.06098] [INSPIRE]. J. Maldacena, D. Stanford and Z. Yang, Conformal symmetry and its breaking in two dimensional Nearly Anti-de-Sitter space, PTEP 2016 (2016) 12C104 [arXiv:1606.01857] [INSPIRE]. A. Almheiri and J. Polchinski, Models of AdS 2 backreaction and holography, JHEP 11 (2015) 014 [arXiv:1402.6334] [INSPIRE]. O. Parcollet and A. Georges, Non-Fermi-liquid regime of a doped Mott insulator, Phys. Rev. B 59 (1999) 5341 [cond-mat/9806119]. E. Witten, An SYK-Like Model Without Disorder, arXiv:1610.09758 [INSPIRE]. I.R. Klebanov and G. Tarnopolsky, Uncolored random tensors, melon diagrams and the Sachdev-Ye-Kitaev models, Phys. Rev. D 95 (2017) 046004 [arXiv:1611.08915] [INSPIRE]. R. Gurau, The 1/N expansion of colored tensor models, Annales Henri Poincaré 12 (2011) 829 [arXiv:1011.2726] [INSPIRE]. T. Nosaka, D. Rosa and J. Yoon, Thouless time for mass-deformed SYK, arXiv:1804.09934 [INSPIRE]. A.M. García-García and J.J.M. 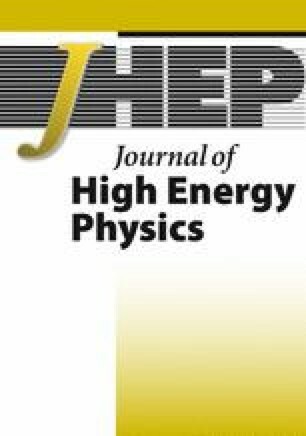 Verbaarschot, Spectral and thermodynamic properties of the Sachdev-Ye-Kitaev model, Phys. Rev. D 94 (2016) 126010 [arXiv:1610.03816] [INSPIRE]. A.M. García-García, Y. Jia and J.J.M. Verbaarschot, Exact moments of the Sachdev-Ye-Kitaev model up to order 1/N 2, JHEP 04 (2018) 146 [arXiv:1801.02696] [INSPIRE]. A.M. García-García and J.J.M. Verbaarschot, Analytical Spectral Density of the Sachdev-Ye-Kitaev Model at finite N, Phys. Rev. D 96 (2017) 066012 [arXiv:1701.06593] [INSPIRE]. S. Sachdev, Bekenstein-Hawking Entropy and Strange Metals, Phys. Rev. X 5 (2015) 041025 [arXiv:1506.05111] [INSPIRE]. M. Cvetič and I. Papadimitriou, AdS 2 holographic dictionary, JHEP 12 (2016) 008 [Erratum ibid. 1701 (2017) 120] [arXiv:1608.07018] [INSPIRE]. J. Engelsöy, T.G. Mertens and H. Verlinde, An investigation of AdS 2 backreaction and holography, JHEP 07 (2016) 139 [arXiv:1606.03438] [INSPIRE]. D. Bagrets, A. Altland and A. Kamenev, Sachdev-Ye-Kitaev model as Liouville quantum mechanics, Nucl. Phys. B 911 (2016) 191 [arXiv:1607.00694] [INSPIRE]. D. Bagrets, A. Altland and A. Kamenev, Power-law out of time order correlation functions in the SYK model, Nucl. Phys. B 921 (2017) 727 [arXiv:1702.08902] [INSPIRE]. 3.School of Mathematics and Maxwell Institute for Mathematical SciencesUniversity of EdinburghEdinburghU.K.